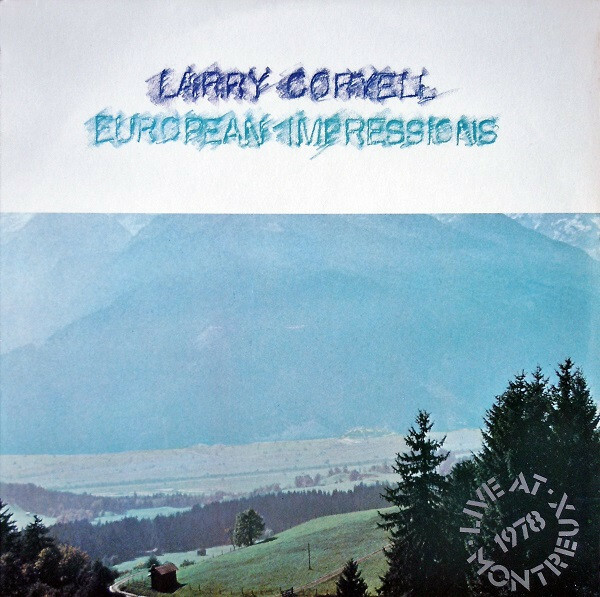 The other day, I was rummaging through a local thrift store and turned over a stone and found gold: Larry Coryell's album, European Impressions. I've been a Coryell fan since the late 60's and thought I had pretty much collected every great Coryell album (and there are a lot of great ones!) but somehow had missed this one. The last track on side one (a live side- side two is composed of studio recordings), "Rodrigo Reflections" alone is worth the price of admission. Coryell's playing on this number is stunning- and when you hear the audience reaction at the end, like me, you'll wish you could have been there too. Coryell played in a wide variety of settings- starting out early with people like Chico Hamilton and Gary Burton, soon moving on to form his own work alone and in various bands as a guitar virtuoso and the "Godfather of Fusion". He went on to form excellent band The Eleventh House with drummer Alphonse Mouzon. Much of his post Eleventh House work was oriented around acoustic guitar outings ranging from straight ahead jazz to jazz tinged classical music. Complex, virtuosic, impassioned, powerful, accessible, Coryell was a giant among guitarists. Not to be missed! 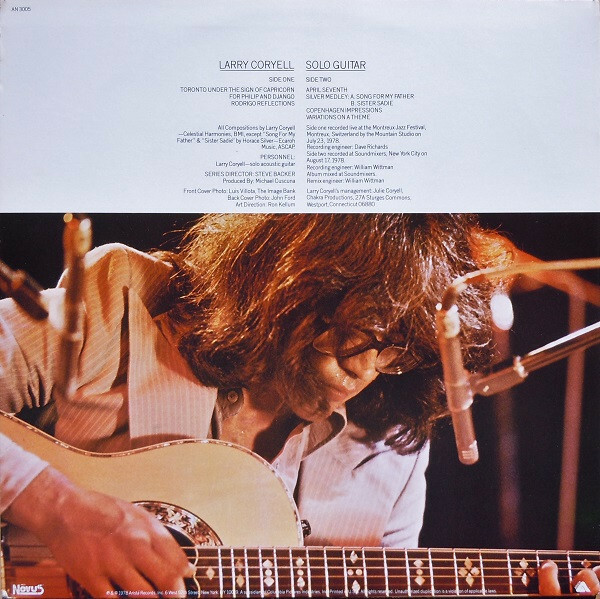 Happy Birthday Larry Coryell. If there's a rock 'n' roll heaven, Larry and Jimi Hendrix are jamming up a storm. Coryell would have been 75 today. We lost a great one a few years ago. Happy Birthday, Larry.